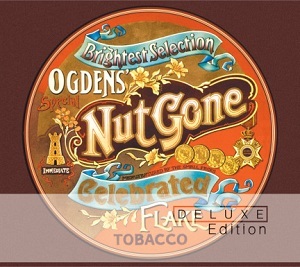 On the 7th May, Universal is re-issuing 4 classic albums from The Small Faces which were originally released btween 1965 and 1969 - Small Faces, Immediate, From the beginning & Ogdens nut gone flake. The albums are being released as deluxe editions, and as with the other albums Universal have released as deluxe editions recently then there are plenty of extras. Surviving Small Faces members Kenney Jones and Ian “Mac” McLagan have been involved in overseing and approving these new editions, including the re-mastering and artwork. All related non-album singles and alternate versions of the album session recordings, many of which are previously unreleased or released for the first time on CD, have also been added. In the case of Ogdens nut gone flake, there are separate discs for the mono and stereo formats and a third disc of previously unreleased material – early session versions, alternate USA mixes, instrumentals and the previously unreleased backing track “Kamikhazi”. Each of the albums includes liner notes by Mark Paytress featuring entertaining and forthright interviews with the surviving members of the Small Faces, Ian McLagan and Kenney Jones as well as rare photos. So, as well as the remastered versions of the four original albums there are dozens of bonus tracks - each album has a full disc packed with extra tracks (in the case of Ogdens nut gone flake there are two CD's of extras) - alternate versions or mixes, meaning you have a staggering 148 tracks between the 4 albums - thats an average of 37 tracks per album, an impressive total. The albums obviously include the bands hit's “Sha La La La Lee”, “All Or Nothing”, “My Mind’s Eye”, “Itchycoo Park” and “Lazy Sunday”, but there is far more here worth listening to than just their hit singles. The bands best known line up of Steve Marriott, Ronnie Lane, Kenney Jones and Ian “Mac” McLagan produced some fantastic music, and there is a surprising variety of musical styles here, making these releases really well worth listening to. 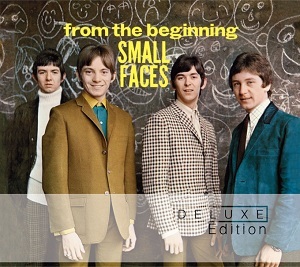 For fans of Small Faces then these are great re-releases. I must admit that I hadnt listened to more than a couple of their songs in the past (my excuse is that these albums came out before I was born), but listening to them there are some really great songs here and I'm likely to be listening to these albums for a long time to come. Four great deluxe edition releases - well worth listening to.